Entlebucher Mountain Dogs: the most honest dog breed review you'll ever find about Entlebucher Mountain Dog temperament, personality, and behavior. 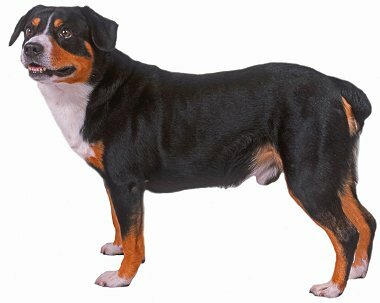 Steady and good-natured, yet bold and athletic, the stocky, muscular Entlebucher Mountain Dog (also known as the Entlebucher Sennenhund) enjoys romping and roughhousing. Pulling a cart or sled, herding, agility, fetching balls, playing Frisbee, and weight pulling are productive outlets for his high energy. He likes to keep busy and needs something to do. He is not an apartment dog. Entlebuchers bond closely with their family and seek lots of attention. Their determination to jump up into your face or shove their body against your leg can be disconcerting to those not accustomed to an enthusiastic, vigorous dog. They like children, but will bowl over little ones. The Entlebucher Mountain Dog makes a vigilant watchdog. He will sound off in a loud, deep voice to announce visitors -- or simply to let you know that your neighbor has stepped outdoors. His attitude toward strangers varies from exuberantly friendly to polite to suspicious. Early and ongoing socialization is essential to develop the stable, self-assured temperament that all of the Swiss mountain dogs are known for. The Entlebucher learns quickly but can be dominant and pushy -- necessary traits for working with unruly cattle, but challenging for nonassertive owners to handle. During adolescence, his hormones will kick in and he may start to test limits. Obedience training should start early. Heeling is an especially imperative lesson, for these powerful dogs can literally pull you off your feet. Entlebuchers bark sharply while working, so be prepared to control excessive vocalization from the beginning. An Entlebucher Mountain Dog may be right for you. An Entlebucher Mountain Dog may not be right for you. You can avoid some negative traits by choosing an ADULT dog from an animal shelter or rescue group. With an adult dog, you can easily see what you're getting, and plenty of adult Entlebuchers have already proven themselves not to have negative characteristics. Finally, you can avoid some negative traits by training your Entlebucher to respect you and by following the 11-step care program in my book, 11 Things You Must Do Right To Keep Your Dog Healthy and Happy. Providing enough exercise and mental stimulation. Entlebucher Mountain Dogs are working dogs. They need regular opportunities to vent their energy and do interesting things. Otherwise they will become rambunctious and bored – which they usually express by barking and destructive chewing. Bored Entlebuchers can destroy your home in a single day. I do not recommend this breed if you don't have the time or inclination to take your dog hiking or swimming or to the dog park, or to get involved in herding, or weight-pulling, or carting, or tracking, or agility (obstacle course), or advanced obedience, or a similar canine activity. Entlebucher Mountain Dogs were never intended to be simply household pets. Providing enough socialization. Many Entlebucher Mountain Dogs have protective instincts toward strangers. They need extensive exposure to friendly people so they learn to recognize the normal behaviors of "good guys." Then they can recognize the difference when someone acts abnormally. Without careful socialization, they may be overly suspicious or cautious of everyone. Bounciness. If you have small children, or if you or anyone who lives with you is elderly or infirm, I do not recommend Entlebucher Mountain Dog puppies. Young Entlebuchers (up to about two years old) can be bulls in a china shop. When they romp and jump, they do so with great vigor, and things can go flying, including people. The temptation to play roughly and nip at moving people is simply too strong in many young Entlebuchers. The strong temperament. Entlebucher Mountain Dogs are versatile working dogs, capable of learning a great deal, but they have an independent mind of their own and are not pushovers to raise and train. Some are willful, obstinate, and dominant (they want to be the boss) and will make you prove that you can make them do things. You must show them that you mean what you say. To teach your Entlebucher to listen to you, "Respect Training" is mandatory. 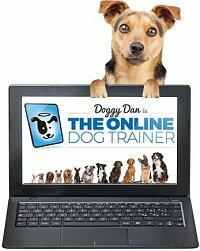 My Entlebucher Training Page discusses the program you need. Barking. With their farm guardian heritage, Entlebucher Mountain Dogs are often quick to sound the alarm – with a deep booming bark – at every new sight and sound. You have to be equally quick to stop them so it doesn't become a bad habit. Finding one and paying the price. This breed is not that common in the United States, and breeders are charging a high price.